Bitdefender, Lookout and Ziften are joining with Microsoft to boost the security offered to enterprises. 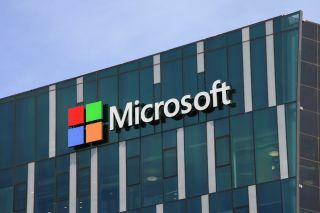 Microsoft has revealed it is teaming up with a number of the world's leading cybersecurity companies to integrate their security offerings with the Windows Defender Advanced Threat Protection (ATP) service. The integration will happen on macOS, iOS, Linux and Anroid. At first, Microsoft will join forces with Bitdefender, Lookout and Ziften. Any threats these three detect, will be sent to the Windows Defender ATP console. Every device will come with its own timeline and event history going back half a year. Microsoft says there is no need for extra infrastructure to add events from these devices. Integration with Bitdefender GravityZone Cloud (macOS and Linux) is in public preview now, and a demo version is available. Lookout’s Mobile Endpoint Security (iOS, Android) and Ziften Zenith (macOS, Linux) will be in public preview ‘soon’, according to Microsoft. Registrations for the demo versions are open now. Windows Defender ATP is not the same as Windows Defender. It’s built into Windows 10 Enterprise, and is considered a post-breach service, built to detect threats that have made it through other defences, helping users investigate breaches. Recently Microsoft said it will add Hexadite to Windows Defender ATP. Hexadite was acquired by Microsoft in June 2017 for a reported $100 million. Since the Windows 10 Fall Creators Update, Microsoft started referring to Windows Defender ATP as a ‘suite of tools’, including Defender Application Guard, Defender Device Guard and Defender Antivirus.